Amy Barr, Executive Director of United Way for Garfield and Pitkin Counties. Frank Hutfless, Garfield County Attorney, reviews letters from residents concerned about high cost health care premiums. Editor's note: You can see the state's premium pricing proposal here, and the insurance industry's letter here. Amy Barr: "The balloon has deflated for me on the Affordable Care Act and it’s very disappointing." Reporter: Fifty-nine-year-old Amy Barr lives and works in the Roaring Fork Valley. Today she's at her office, tucked away in a church basement in Glenwood Springs. She's the Executive Director of United Way for Garfield and Pitkin Counties. Earlier this year, Barr was hoping to sign up for a health insurance plan through Connect for Health, Colorado's statewide program. Amy Barr: "I’m so excited to go to the Colorado site, and my mouth drops open. My cheapest would be $850 and it would go up to a $1100 and some and that’s a bronze plan, $5000 deductible. And I said, I can’t afford that myself." Reporter: Barr used to pay a fraction of that, with a much lower deductible. She was on her husband’s plan through the Aspen Skiing Company. He doesn't work there anymore-- so she's shopping for her own plan now. She really wants coverage, because she's in remission from breast cancer. So Barr started writing emails about her frustration, and sent one to a Garfield County Commissioner. Frank Hutfless: "What we're really concerned about is the excessive premiums, the discriminatory premiums, that our citizens have been singled out to pay." Reporter: Frank Hutfless is the Garfield County Attorney. He says the Commissioners received several letters like the one from Amy Barr, so they started looking at why premiums are so high. After looking at a variety of factors, they believe the state's pricing system unfairly shifts the cost of healthcare onto residents in the so-called resort area. That covers Garfield, Pitkin, Eagle, and Summit Counties… named for the ski areas there. Hutfless believes the state agency in charge of the pricing didn't do enough to find the best plan… and relied on a proposal put together by the insurance industry. Hutfless: "Simply put, the state took the letter from this lobbying group, put their letterhead on it and submitted it as the state’s proposal." 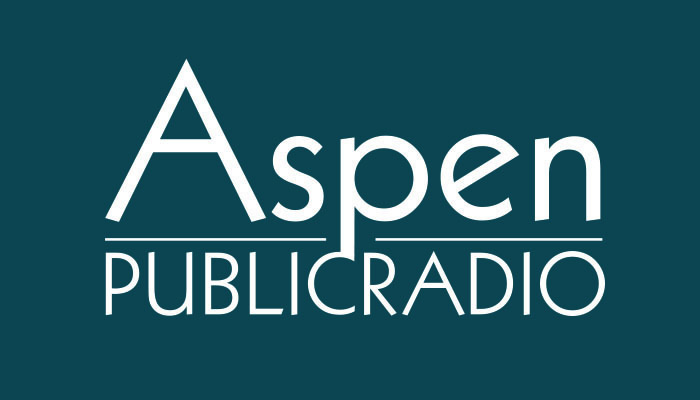 Reporter: Aspen Public Radio reviewed the two letters… dated a week apart… and found they are nearly identical. Vince Plymell is with the Colorado Division of Insurance. Reporter: Just a month to figure out prices for health insurance… and officials did not collect any feedback from consumers during that time. Reporter: The Division is gathering comments now, but there are no immediate plans to change high premiums for resort residents. So the Garfield County Commissioners are formally asking Governor John Hickenlooper weigh in. Again, Frank Hutfless. Hutfless: "We would ask him to direct them to change. Not just look into it, but to establish rating areas that really did not unjustly discriminate. I'm convinced they can do that." Reporter: The Governor's office and Insurance Division couldn't comment on that request as of Tuesday afternoon, saying they hadn't received it yet. Now, Garfield County Commissioners are often on the more conservative end of the political spectrum. But County Attorney Frank Hutfless says the move isn't about challenging the hallmark law of a Democratic president. Reporter: Amy Barr…who’s supported Obamacare for years… may end up not being part of it. Reporter: She has less than a week to decide. Next Monday, December 23rd, is the deadline for people signing up for coverage that starts in January. Following complaints from customers and local officials about the high premiums for health care in resort mountain communities, state officials now say they will look into why health care prices are so high in Pitkin, Eagle and Garfield counties. The Colorado Division of Insurance announced Monday, February 3rd it’s launching a study to get to the bottom of that big question… despite the announcement, they don’t plan to lower premiums soon.